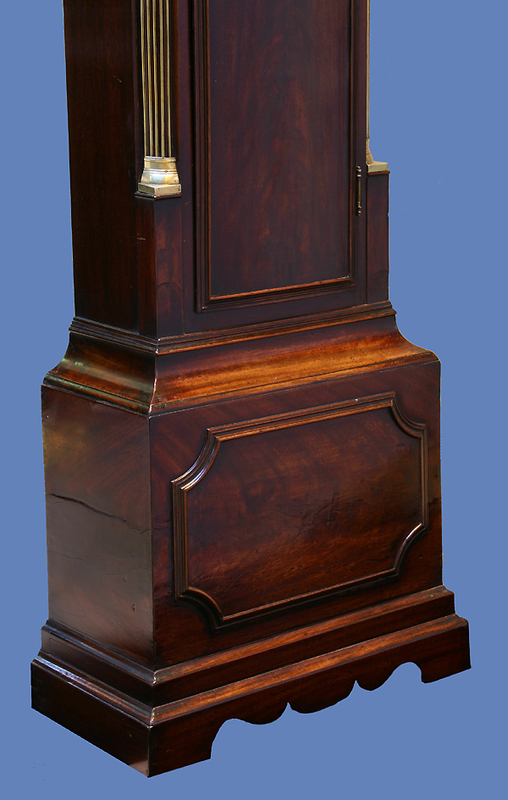 A Georgian English mahogany tallcase clock with rocking Father Time by William Bull, Stratford. The small, well-proportioned case has nicely colored and figured mahogany veneers throughout. The broken arch hood has full to the front and quarter to the rear fluted columns with stop fluting, simple brass capitals, glazed sides and a two decorative frets above separated by three fluted blocks surmounted by brass ball finials. 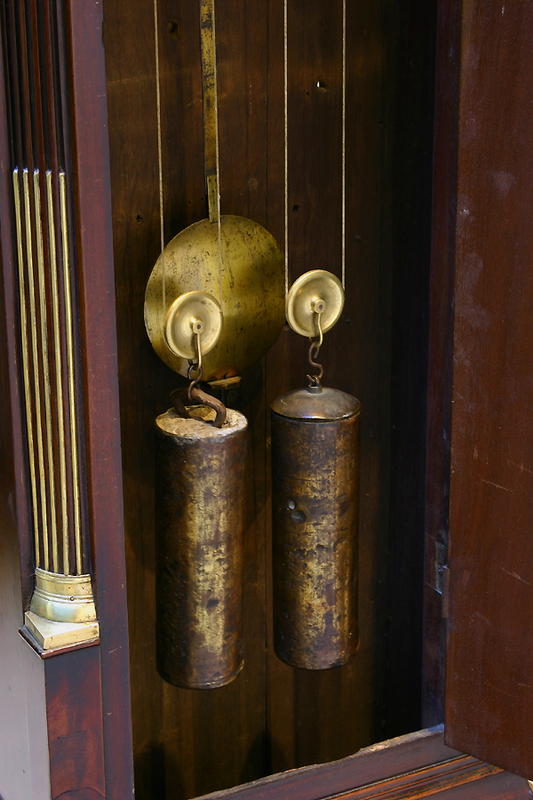 The trunk has a broken arch door with molded edge and fluted quarter columns with brass capitals. The plinth has a raised molded panel and stands on a double base with a fretted front. 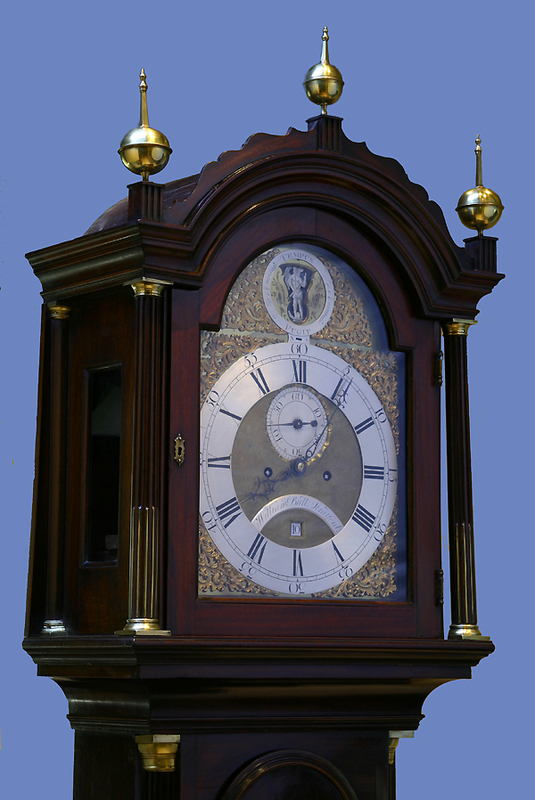 The decorative broken arch polished brass dial plate has cast floral spandrels, a mated center, a sunken seconds dial with a molded edge and decorative engraving framing a shaped father time aperture with a canted edge. 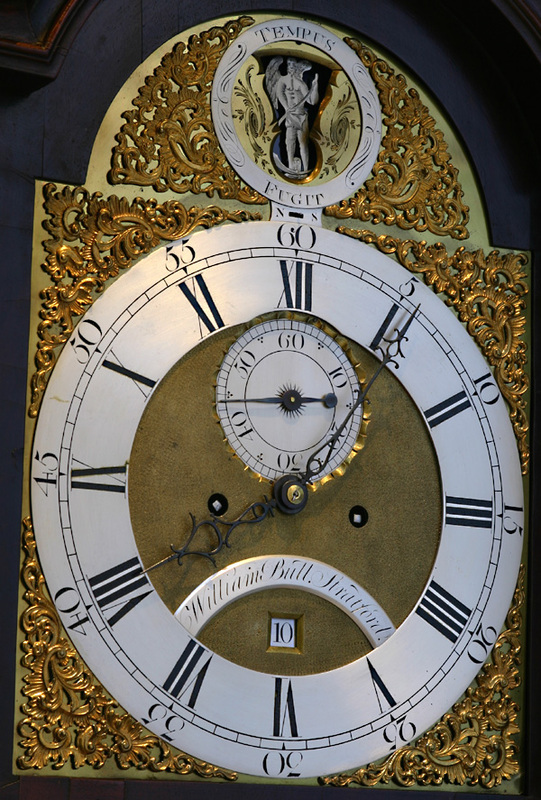 The silvered engraved chapters and plaques include the calendar ring, second’s dial, hour’s chapter, nameplate, ‘William Bull, Stratford’, the strike/silent, ‘N/S’ and both the chapter with ‘Tempus Fugit’ and rocking father time. Finely cut steel hands indicate the hours, minutes and seconds. 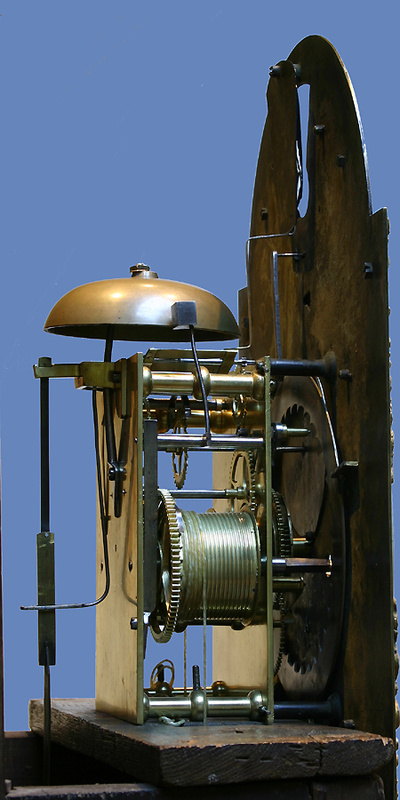 The eight-day time and strike weight-driven movement has five knopped posts, a recoil escapement, a pendulum with a flat brass rod and brass bound lenticular bob and is driven by two brass bound weights. 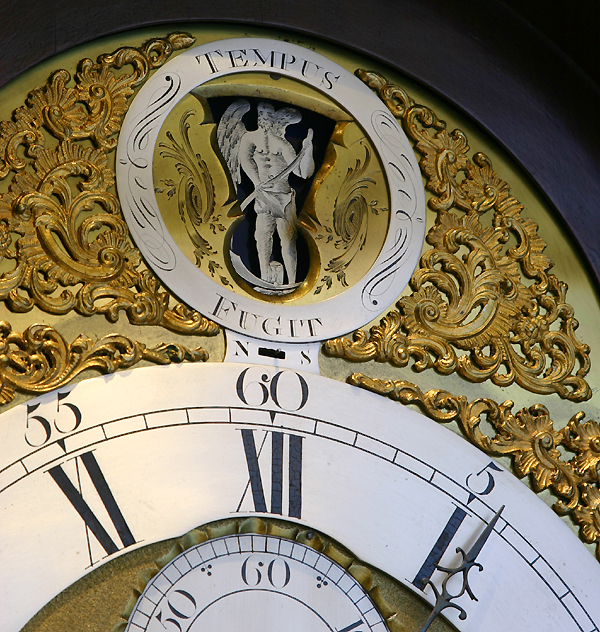 Father Time is connected to the escapewheel arbor and rocks side to side as the clock runs. William Bull is listed in Britten’s as working 1770-1804. Statford is sometimes listed as part of London and sometimes as just outside.